My love affair with smashes has been well documented on this blog. For reference please see here, here, and here. The possibilities are endless when it comes to flavors, and you can make them taste exactly like pie. Need I say more? 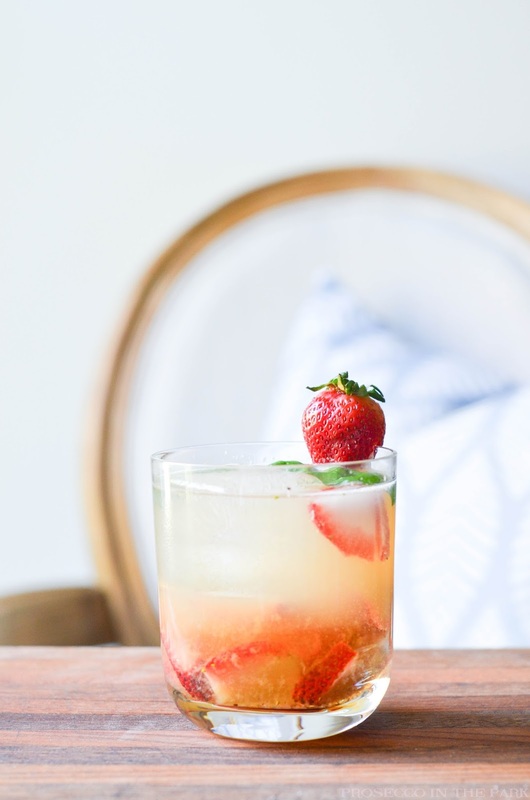 With spring in full swing and summer quickly sneaking up on us, I've been craving something simple and refreshing with a bit of fizz. A smash fit the bill perfectly. Inspired by the recent addition of our mini windowsill garden, I decided to pluck a few basil leaves and get to work with the strawberries currently taking up space in my fridge, waiting to be remembered and promptly devoured. 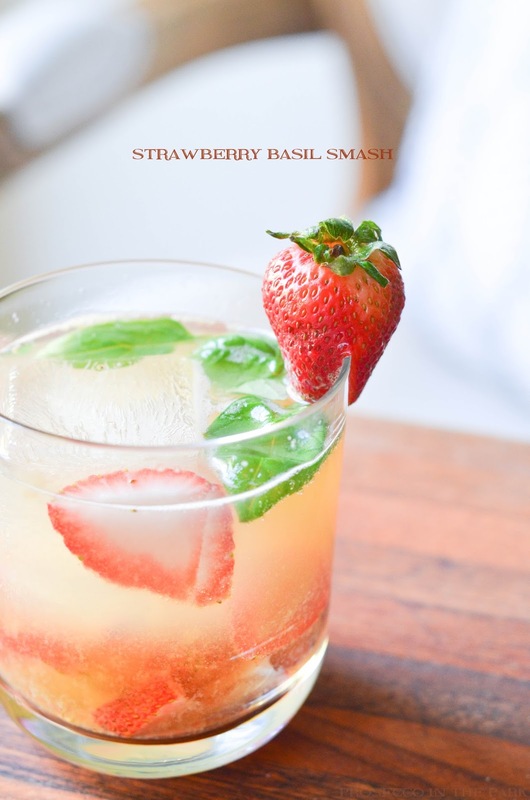 I like the idea of strawberry and basil together, or watermelon, the makings of a summer salad to be eaten outdoors on a wide weathered deck overlooking a beach. #beachhousegoals. One of these days. For this drink I chose to go with bourbon but any kind of whiskey or rum or even gin would work. It's all about personal preference with this one. You could probably do tequila if you like. These light, summery flavors don't discriminate, they go with anything. In a large glass add sugar and lemon juice. 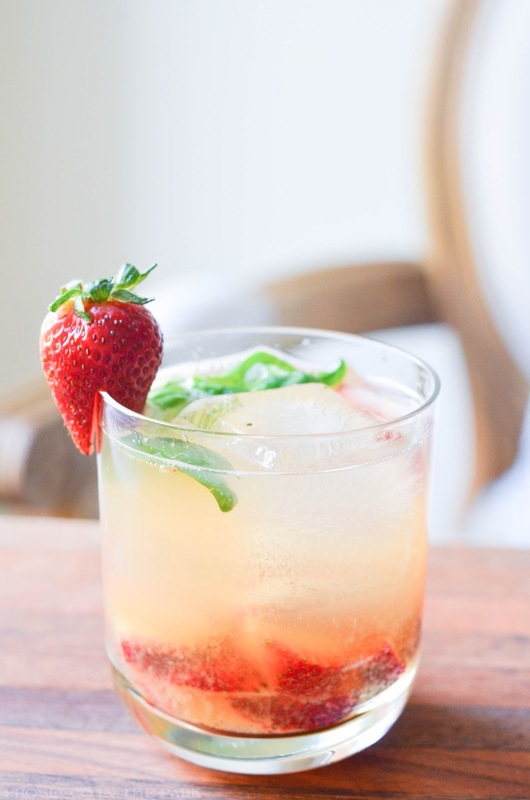 Stir until sugar is dissolved, then add strawberries, basil, and bourbon. Muddle. Pour over ice, top with soda water and enjoy! Seriously, you always make the most amazing drinks that have me craving a cocktail before lunch time! And they always turn out so pretty. One of these days you're going to have to tell me your secret! Oh man. I'll take anything basil. Seriously love it. This looks so refreshing!! 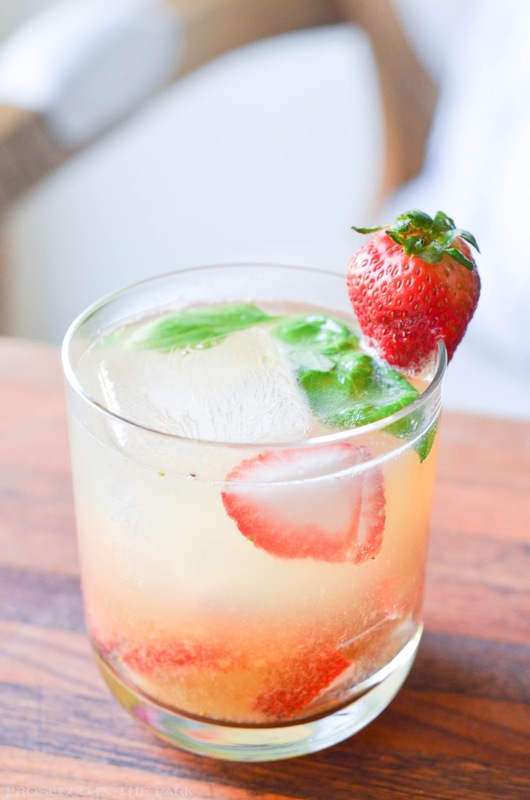 And I love how you added the strawberry on top as a garnish! It's almost too pretty to drink! Have a great weekend Lyndsay! This looks absolutely perfect for a beautiful Spring day! I have to try this! Thanks for sharing! Saved this post!! This drink sounds amazing! !